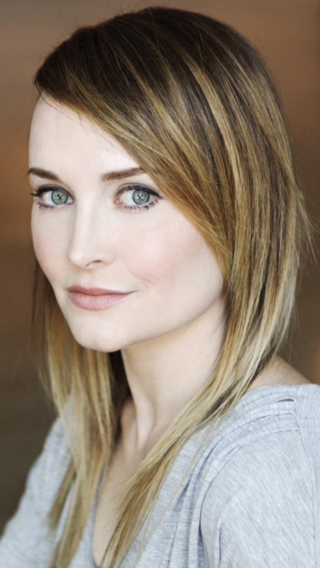 Jād (jade) Saxton is a voice, stage and film actress, currently starring as Mira in Dimension W on Toonami’s Adult Swim and streaming in Funimation broadcast dubs FairyTail (Carla), Grimgar of Fantasy and Ash (Mary), and Pandora in the Crimson Shell: Ghost Urn (Takumi). Jād is best known for her work as Yuki in Wolf Children, Adèlie in Space Dandy (Toonami), Hatchin in Michiko & Hachin (Toonami), Nona in Death Parade, Koneko in High School DxD, Young Nico Robin in One Piece (all at FUNimation), Akatsuki in Log Horizon (Sentai Filmworks) and Dragon Ball Xenoverse (Okratron 5000). Recent roles Jād is excited about: Lisa Mishima in Terror in Resonance, Ai Hibiki in Rolling Girls, Yoriko Kosaka in Tokyo Ghoul, Ringo Kinoshita in No-Rin, Constance Raveau in Gangsta, Miku Izayoi in Date A Live II, Ludmila Lourie in Lord Marksman and Vanadis, Un in Show By Rock! !, Sio Ogura in Nobunagun, Jeanne D’Arc in Rage of Bahamut: Genesis, Alfreed in The Heroic Legend of Arslan, Koyomi Hiiragi in Ultimate Otaku Teacher, Onikiri in Kamisama Kiss, Komissa in Psycho-pass, Yuri Flostre in Sky Wizards Academy, Lisette Norden in Unbreakable Machine-Doll, Shizuno Urushibara in World Break, and Kaoru Harishima in Yurikuma Arashi. Oldies but goodies: Steins; Gate (Faris Nyannyan), Is This a Zombie? (Haruna), Hagani (Sena Kashiwazaki), Fam The Silver Wing (Fam), Eureka Seven AO (Elena Peoples), Karneval (Tsukumo), Tenchi Muyo: War on Geminar (Lashara Earth), Mass Effect: Paragon Lost (April), Shangri-La (Karin Ishida), A Certain Scientific Railgun (Komoe), A Certain Magical Index (Komoe), Aria The Scarlet Amo (Reki), B Gata H Kei – Yamada’s First Time (Mayu Miyano), Freezing (Arnett McMillan), Okami-san & Her Seven Companions (Mimi Usami), Ghost Hunt (Masako Hara), Baccano! (Eve Genoard), Strike Witches (Perrine-H Clostermann), and Soul Eater (Jacqueline O. Lantern Dupré). When Jād isn’t voice acting, she can be seen on stage at various theaters throughout the Dallas/Fort Worth area. For a full list of her work, please visit www.animenewsnetwork.com. With well over 100 anime characters under her belt, Kate Oxley is best known for her roles in movies and series such as, Psycho Pass (Akane Tsunemori), Darker Than Black (Misaki Kirihara), Shin­Chan (Lollipop), Dragon Ball (Pasta), One Piece (Carrot), Negima (Makie Sasaki), Peach Girl (Momo Adachi), and Full Metal Alchemist (Cathetine Elle Armstrong). You may have also heard her voice in video games such as Dragon Ball (Colonial Violet), Guitar Hero 3 (Various), One Piece (Carrot), and Lux­Pain (Mika Nozaki). 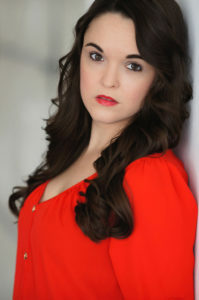 Kate was born and raised in Southern California, then moved to Texas and attended Baylor University for Theatre Performance. She currently lives in Fort Worth, Texas, where she teaches art and theatre to the best students ever. She enjoys blowing bubbles with her babies, tending to her succulent garden, and playing “war” with her husband. Also macaroons. She enjoys Macaroons. 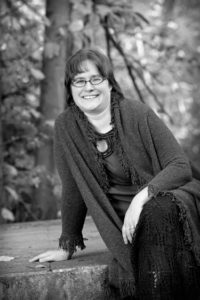 Please welcome our first educational guest, Sarah Hodge-Wetherbe! Sarah Hodge-Wetherbe’s dad took her to her first Star Trek convention as a child, sealing her future as a card carrying geek. By day, she is a library associate with the Springfield city library. In her secret Identity as Geekgal, she tours around new England lecturing on various aspects of geek culture. She’s performed for all sorts of venues from The Norman Rockwell Museum to the Massachusetts library association. She advises ignoring the dog park, thinks Bruce Banner is the best Avenger, and wants to be Yomiko Readman when she grows up. Join us in welcoming back Charles Dunbar to Anime USA 2016! We’re excited to have him returning this year, and we hope you can join us in welcoming him back this October! Please join us in welcoming Professor Shyguy to Anime USA 2016! 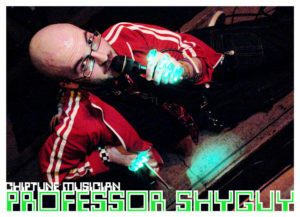 Professor Shyguy’s music can be best described as; high energy, chiptune-electro-rocking, 8-bit, epically vocalized, highly danceable, theatrical nerd-pop. Singing 50% about video games and the other 50% is anything from Space/Time to English Language gymnastics. He has just released his third album of original music in the form of a Pop-Opera. His performance consists of singing, playing guitar, keyboards, and sometimes drums. Sometimes three of those things at the same time. We’re excited to have him with us this year and hope you can join us in welcoming him this October! 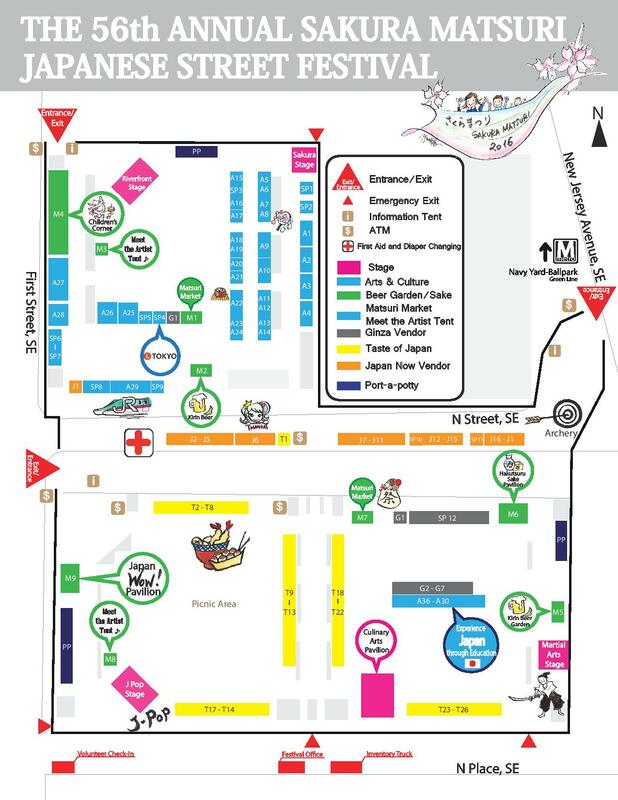 See you at Sakura Matsuri! 2016 Artist Alley and Dealer’s Room Applications Now Being Accepted! Anime USA’s Artist Alley and Dealer’s Room are now accepting applications for our 2016 convention! Check out our Artist Alley and Dealer’s Room pages for more information. 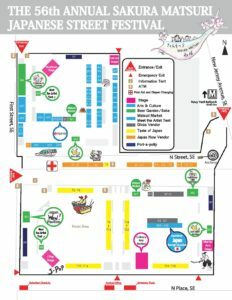 Hope to see you this year at Anime USA!